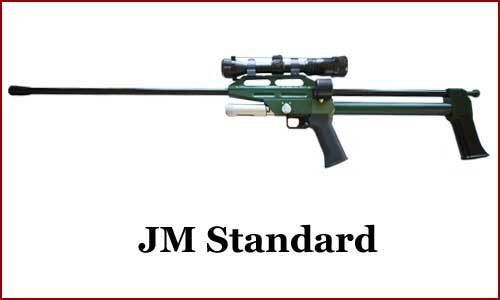 The DAN-INJECT JM STANDARD model represents a radical departure from previous injection rifle design. 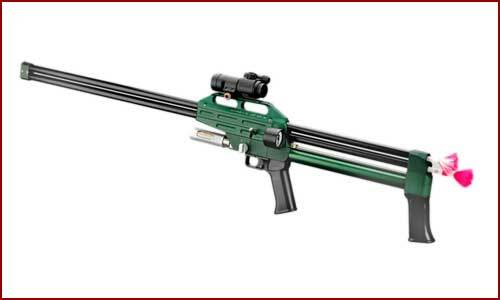 With an overall length no longer than the barrel, the JM STANDARD is an extremely compact rifle which offers many practical features. 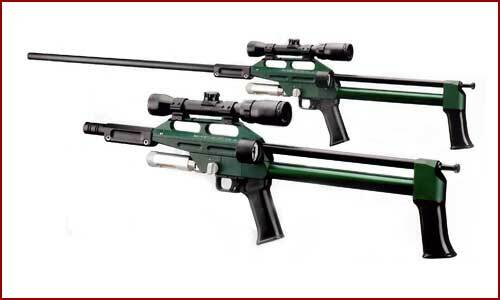 The new design maintains the established DAN-INJECT reputation for reliability and accuracy, which the JM STANDARD rifle continues to deliver over normal darting distances. 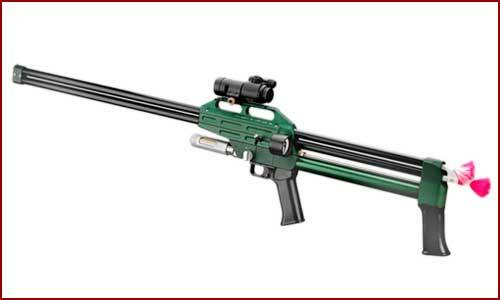 The rifle is of very robust construction with a synthetic covered barrel, carrying handle and shrouded manometer. As the manometer and telescopic sight can be viewed simultaneously, pressure adjustment is rapidly and silently achieved without the operator losing sight of the target animal. All parts are manufactured of weather resistant anodised aluminium and stainless steel fastenings are used throughout. Delivered zeroed with Pressure Adjustment Tables.